Hello all! 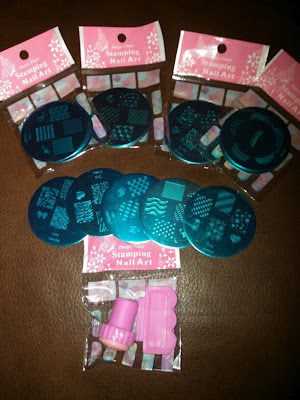 I've teamed up with some awesome nail blogs to give you some great chances to win some amazing prizes! 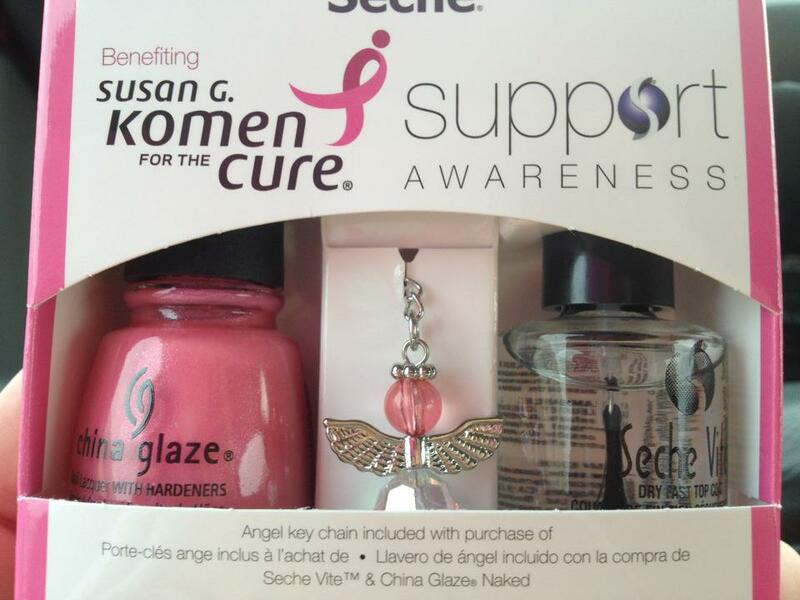 Each blogger is giving away an equally fantastic prize! I will be giving away Orly Buried Alive, Tokidoki Sandy, China Glaze Stone Cold and Orly Mysterious Curse. 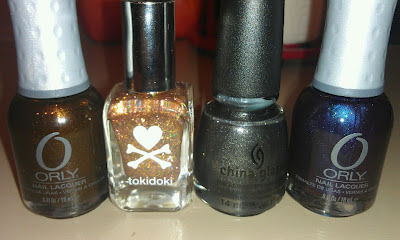 Casey from Saving the World One Nail at a Time will be giving away the China Glaze Wicked 4 pc. set. 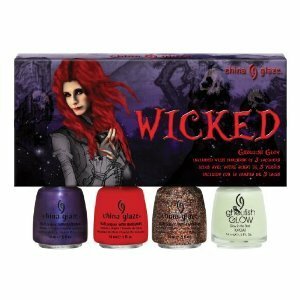 This set includes full size bottles of China Glaze Bizarre Blurple, Roughish Red, Glitter Goblin and Ghoulish Glow. Vicki from Nail by Vi will be giving away a nail stamping set complete with scraper and multiple nail plates. 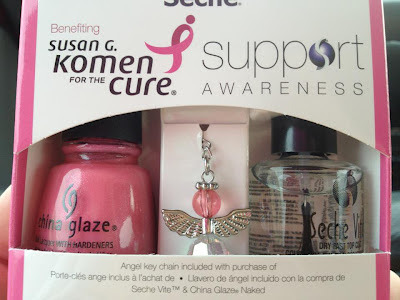 Samantha from Just One More Bottle will be giving away this China Glaze/Seche Vite Support Awareness set. Kari from Finger Glaze will be giving away two Butter Londons in The Old Bill and Pillar Box Red as well as Butter Londons Hardwear Quick Dry Topcoat. Jill from Glisten and Glow will be giving away an amazing set of her own brand! In this set you can win a 4oz body wash in Sangria White Peach, an 8oz body butter also in Sangria White Peach, a Glis-tcs Cuticle oil in Chamomile and HK Girls famous top coat! 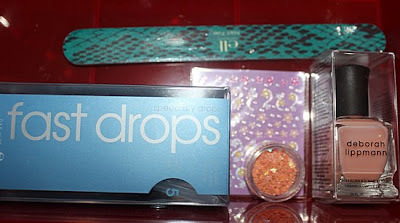 Michelle from Rain Down on me Beauty will be giving away an elf nail file, Zoya fast dry drops, nail stickers, a jar of nail stars and a Deborah Lippman Tiny Dancer. 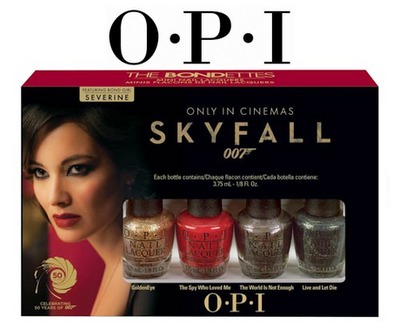 And last but definitely not least, Victoria from Punky's Polish will be giving away a mini set of The Bondettes from the new Skyfall 007 collection! This includes a mini of GoldenEye, The Spy Who Loved Me, The World is Not Enough and Live and Let Die. What are you waiting for! Enter using the Rafflecopter widget below to get as many entries as you'd like to win one of these amazing prizes! Thank you for stopping by! Also don't forget to enter my Halloween Giveaway which closes on October 20th!!! 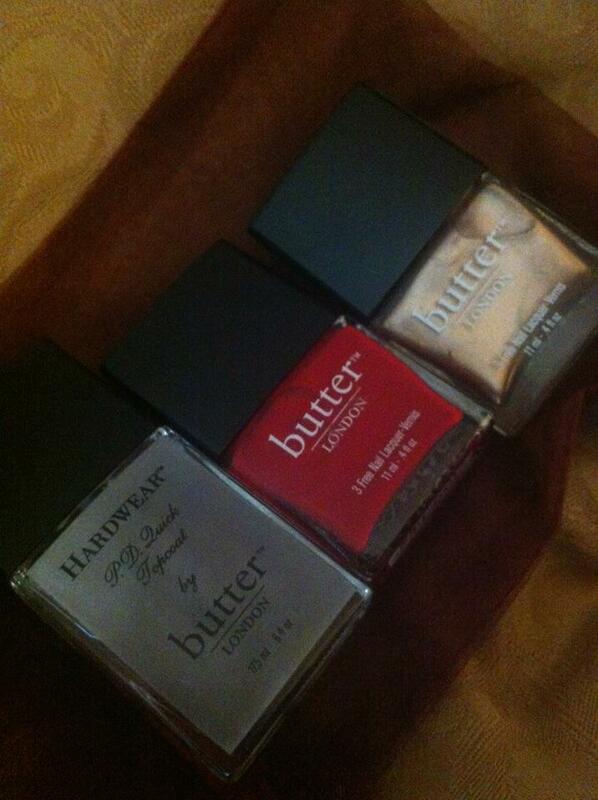 Looks like there are some really great polishes up for grabs! I am not sure what happened or why it won't let me edit my entry but... I completed everything. I am not sure if it let me enter the name/email I commented on Finger Glaze's blog with. I used my name April Nantz and wrote a novel on the post where she shows her polish display.